THG has been serving the hospitality, restaurant and real estate industries for over 10 years. 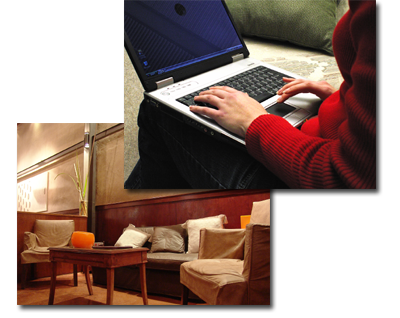 We have the experience and resources to deploy wifi networks of any size. Wether you are looking for a free-to-use system for your hotel guests, or a pay-for-use system for your restaurant visitors or a monthly prepaid service for an apartment building, THG has the solution for you. Small systems range from only $300 to $1000 to cover an average size hotel and include all the features of a standard hotspot including requireing the user to agree to your terms of service. If your franchise is pressuring you to deploy a hotspot in your hotel, contact us today to see just how easy and cost effective it could be.